Individual chapters design and maintain their own chapter websites. The national AAUP assumes no responsibility for content or design. If your CA-AAUP chapter is not listed, it is because we don't know about it! (Please send us an e-mail). 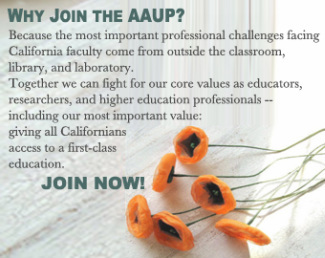 If you are interested in creating a chapter on your campus, please email the national AAUP at organizing@aaup.org.